I always feel so honored when a client asks me for another session. It really is humbling to be invited into the lives of people in such an intimate way. 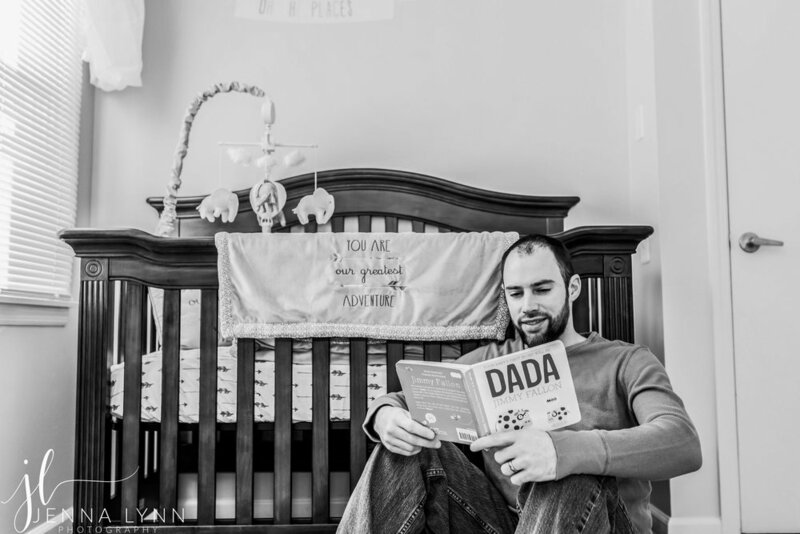 For Colleen and Kevin, it is all about waiting on their little love to enter the world! A few months ago, the three...um... four of us had some fun at Barclay Farms in Cherry Hill for their Maternity session! Colleen had shared with me that she wanted a winter, woodsy, rustic look. Barclay was pretty perfect what they had in mind. 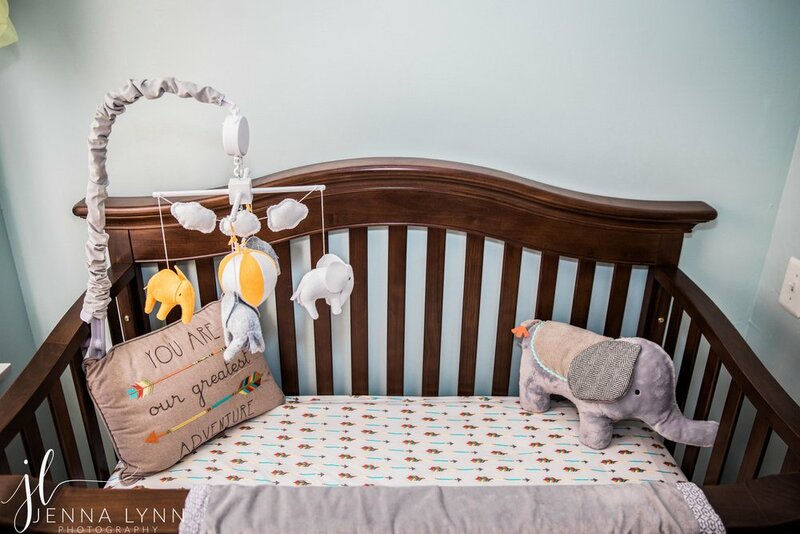 Following their maternity session, Colleen and Kevin had asked me to visit their home to document their hard work on the beautiful nursery! 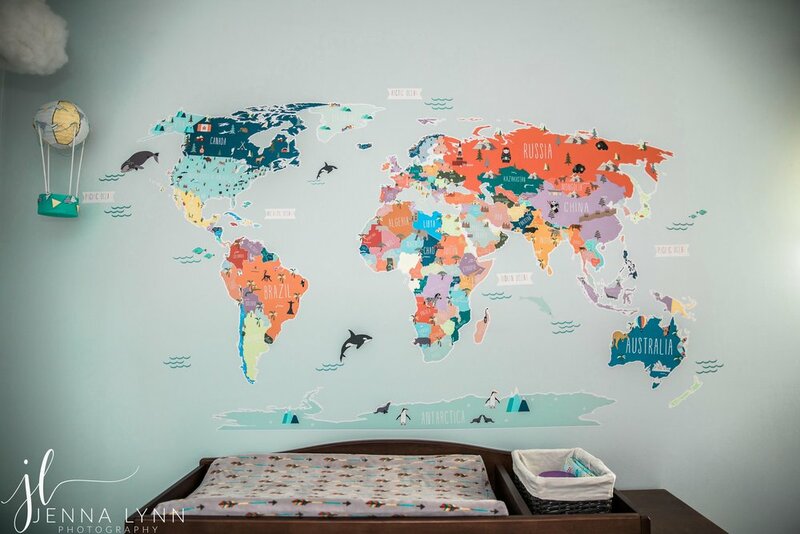 My son is only 8 months old right now so I am able to vividly recall how much planning, research and heart I poured into designing his nursery! Don't underestimate the nature of "Nesting"!!! When a mama is proud of what she has prepared for her arriving bundle of joy - I am all for capturing it! Before I discovered my love for photography, I was an Interior Designer. Leaning on my background is helpful in many ways, and being aware of small details that encompass a larger concept is one major way my training helped in a home/lifestyle situation! Lorelai is already one very loved and lucky little girl! 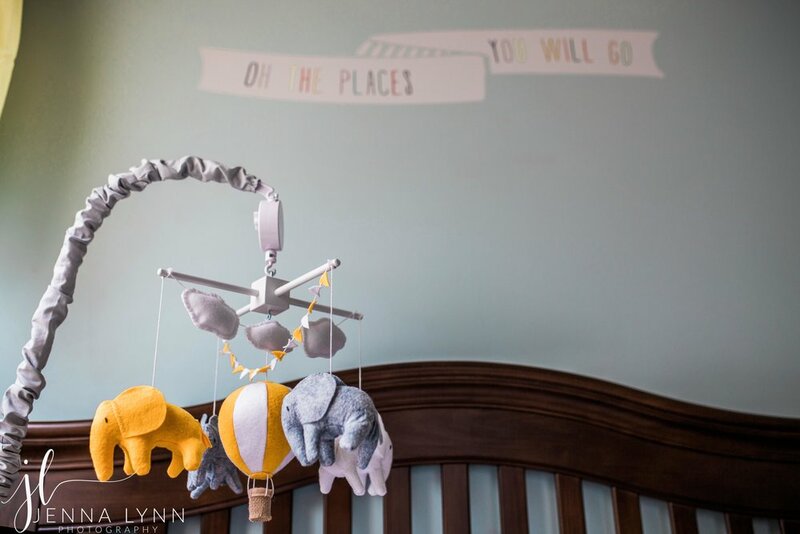 In her nursery, she has a completely stocked closet, a few important keepsakes, handmade hot air balloons ( with a Cloud Night light! ), enough story books to read each night until she is one, and plenty of soft colors to inspire happiness. With this fun "Travel" theme, she has reminders that she can go anywhere and do anything in life!